All foreigners will soon have to give their fingerprints upon entering China, with the new rule taking effect at Shenzhen’s airport on Friday. The information would then be stored for official use, the statement said. It did not elaborate on whether the information would shared across ministries and other government agencies. Foreigners using diplomatic passports and visas will not have to provide their fingerprints. Chinese citizens from Hong Kong, Macau and Taiwan were not considered foreigners, a Shenzhen border authority official said. Unlike foreigners who use their passports to enter mainland China, Chinese citizens from those regions do so using home return permits issued by Beijing. Their fingerprints are already required upon entering the mainland using their home return permits through e-channels. The border control authority would work on improving efficiency after the new rule took effect, it added. 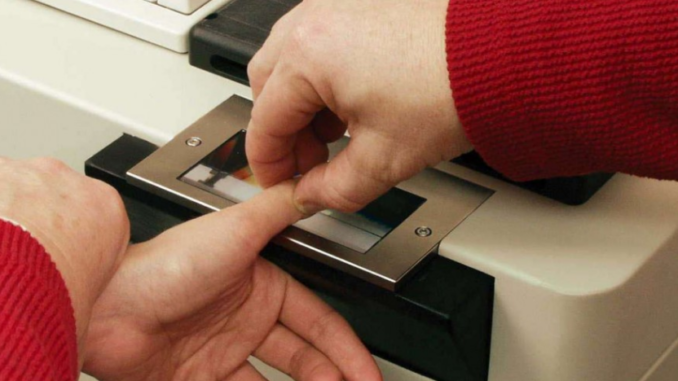 Other countries that already collect biometric data from visiting foreigners include the United States, Britain, France, Japan and Australia. The US collects the information only from those aged between 14 and 79, and exempts those using diplomatic and official visas or undergoing medical emergencies. Japan began fingerprinting and photographing foreigners entering the country in 2007 as an anti-terrorism measure.